Can I make an appointment directly with the clinic? FROM INNISHANNON: Approaching Bandon at the T- Junction take a right and an immediate left so you are travelling with the River to your right. Drive straight ahead and enter the Riverview Shopping Centre. We are located on the pedestrian walkway entering the Shopping Centre behind the Garda Barracks. We are the burgundy coloured building next to the Riverview Pharmacy. FROM DUNMANWAY: Approaching Bandon over the Bridge take a Right at the Methodist Church. Drive straight ahead with the River to your right. Enter the Riverview Shopping Centre. We are located on the pedestrian walkway entrance to the Shopping Centre. We are the burgundy coloured building next to the Riverview Pharmacy. FROM CLONAKILTY: Approaching Bandon on the Clonakilty Road make your way to the Riverview Shopping Centre (located near the Riverside). 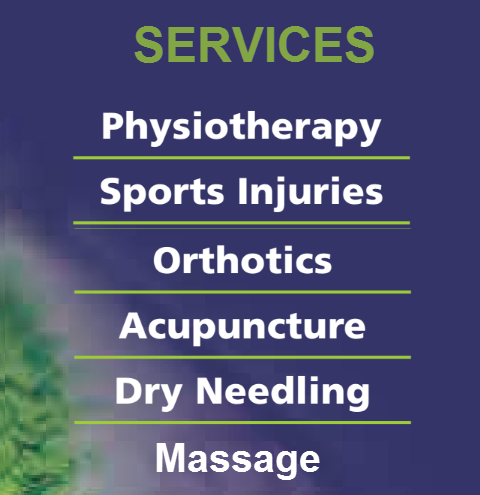 We are located on the pedestrian walkway entrance to the Shopping Centre behind the Garda Barracks and situated in a burgunday building next to the Riverview Pharmacy. FROM SKIBBEREEN/ROSSCARBERY: Approximately 3 minutes before you reach Clonakilty Town take a left on to the Dunmanway Road. After approximately 1 minute take a Right into the Clonakilty GAA Complex. As you approach the front of the building take a left and you will find us at the rear of the building where there is ample parking. FROM CLONAKILTY TOWN: Take the road to Skibbereen. Approximately 3 minutes outside the town take a Right onto the Dunmanway Road. After approximately 1 minute take a right into the Clonakilty GAA Complex. As you approach the front of the building take a left and go to the rear of the building where there is ample parking.